Single Acting and Double Acting Clutches and brakes with torque caring capacity 1 kgm to 80 kgm. 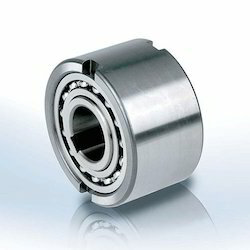 Being a leader in the industry, we are engaged in offering a qualitative range of Mechanical Clutch to our customers. We are offering Mechanical Clutches to our clients. With the help of professionals, our firm is accomplished to provide One Way Clutch in diverse specifications. - Model NB - bore size: from 12mm to 60 mm. - Model NBF - bore size: from 35 to 85 mm. 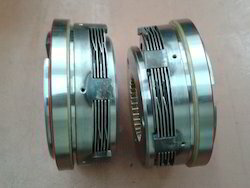 Single Acting and Double Acting Clutches and brakes with torque carring capacity 1 kgm to 80 kgm. Made by experts from best quality material, this array of Mechanical Clutch is highly demanded by the customers. Ensuring hassle free performance at user end, these offered products are widely popular across the country. We offer this product in diverse provisions in order to meet the need of patrons in an efficient manner.